The Local Government Grant Program allows funding to be invested in development of trails and bicycle/wheelchair paths to provide walking and running routes to recreational and educational facilities in and around Cave Junction. Funding is also allowed for development of routes that can be used by mountain bike enthusiasts and/or horse owners to access public lands as well as for developing safe routes that children can follow to school or local parks. 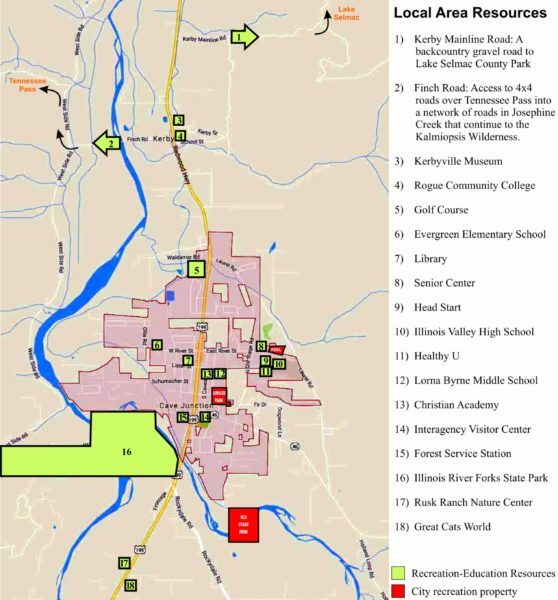 The map below identifies they type of resources in or close to Cave Junction city limits that these walkways and trails are intended to connect. 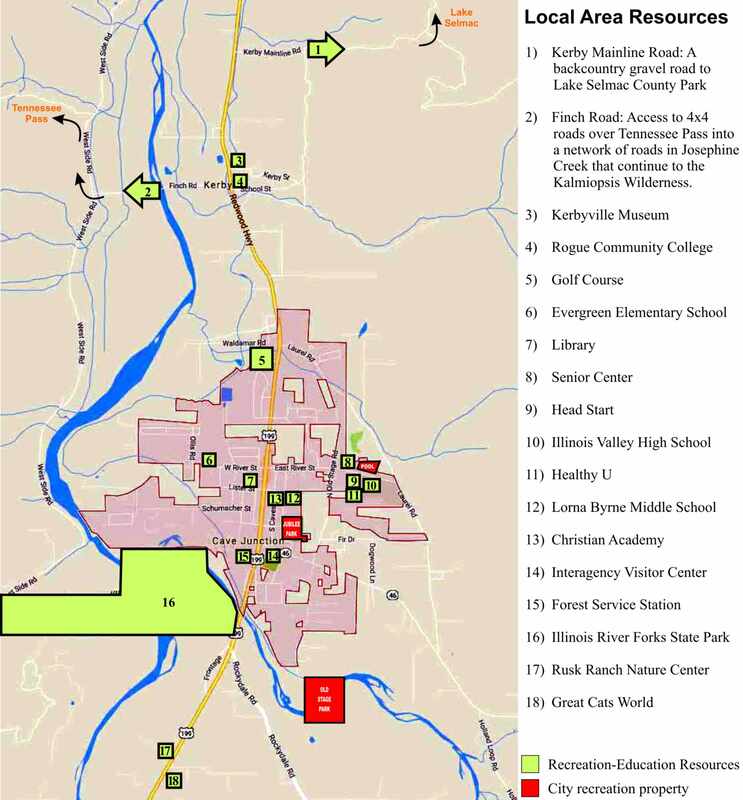 The numbered green boxes show the general location of private and public resources that contribute to recreational opportunities for Cave Junction residents. Click image to see enlargement.